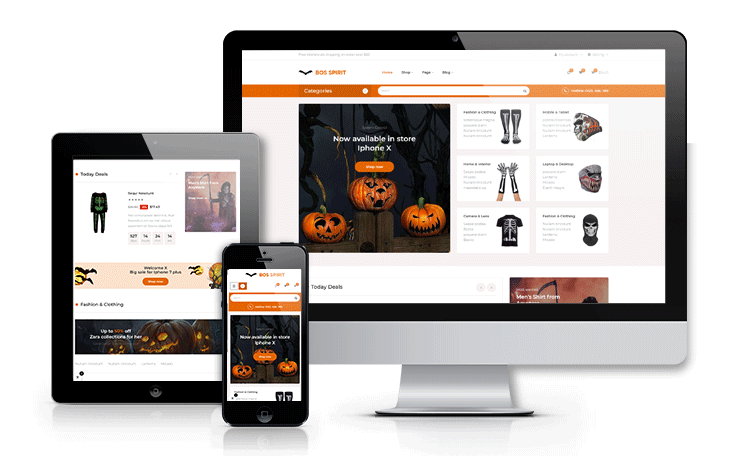 Ap Bosspirit is horror Prestashop Halloween Themed Gifts featuring Halloween themed events, Halloween themed uniforms, Halloween store, Halloween movie, Halloween boutique, Halloween events, fashion & accessories store. 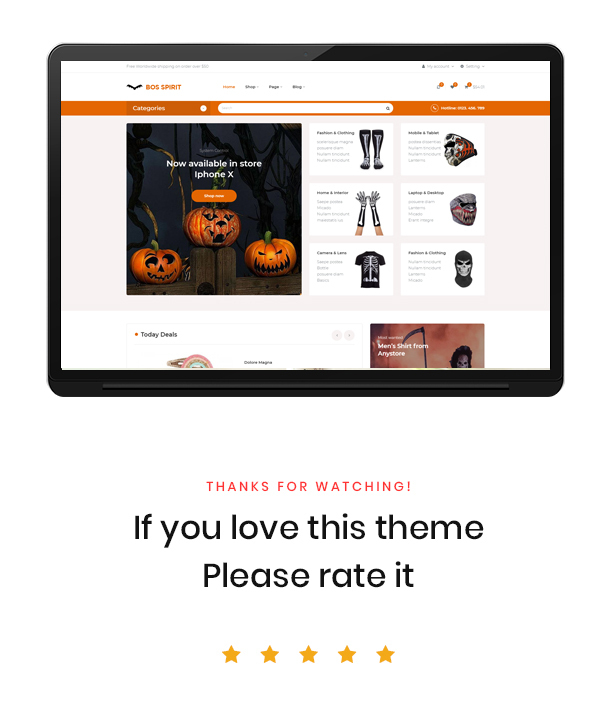 Comes with multiple page templates, carefully styled, regularly updated, best matches websites dedicated to celebrating Halloween / Samhain and all kind of horror / spooky events.If you organize Halloween party or festival full of horrors and mysteries this theme is right for you. 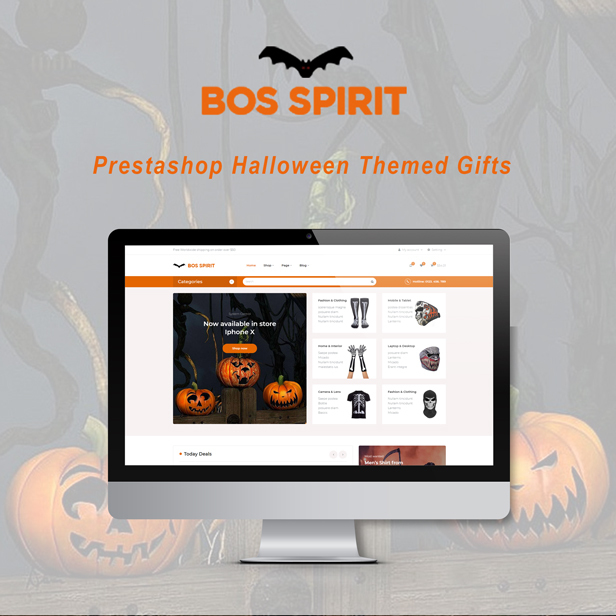 Ap Bosspirit Prestashop Halloween Themed Gifts have clear and smart structure which helps customer to find information easily. 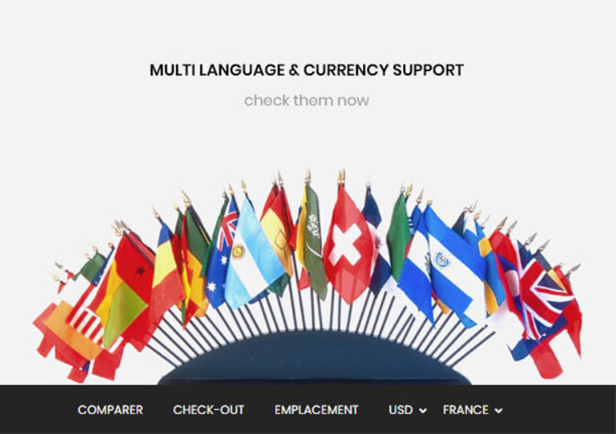 Admittedly, Ap Bosspirit is particularly suited for promotions events by the support of Time Countdown function. 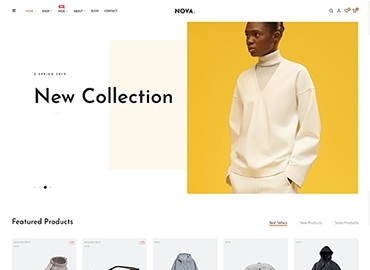 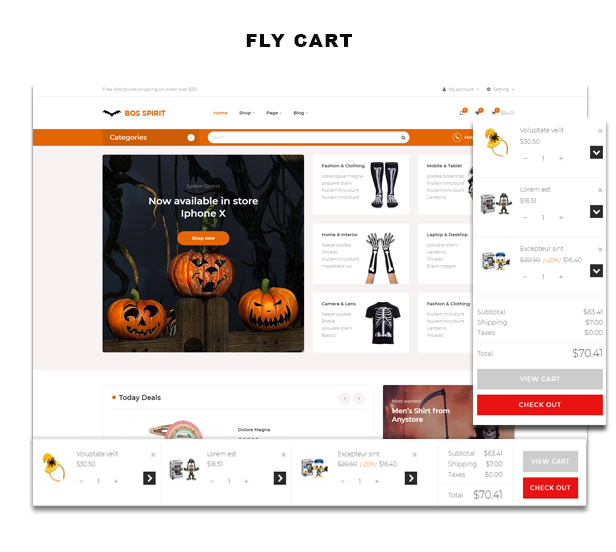 Moreover, Apollo uses lots of extensions of modules of Prestashop such as layered navigation block, category tabs slider, which make customers visit and purchase products most conveniently. 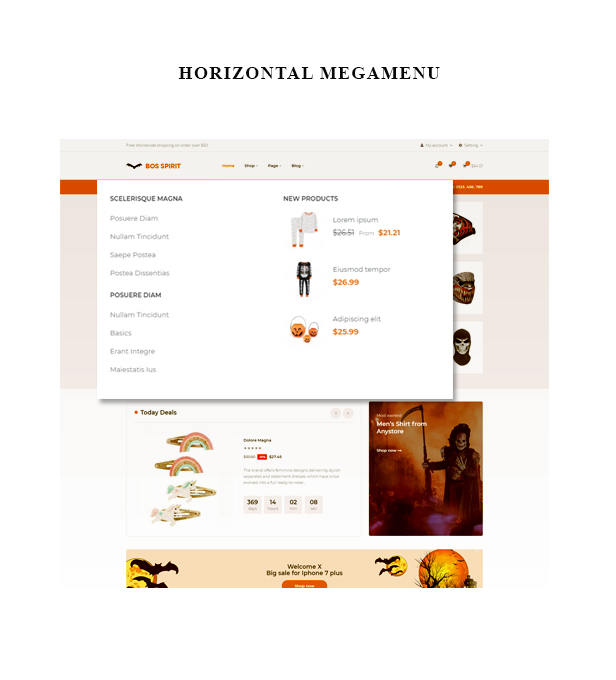 With these wonderful features as Swipe, Animations and Owl Carousel elements give the whole theme a smooth sense. 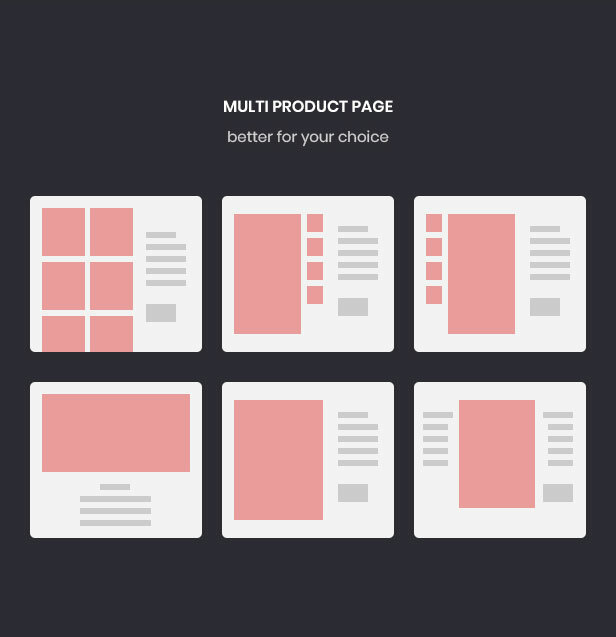 This template is fully functioned and provides an unlimited style variation. 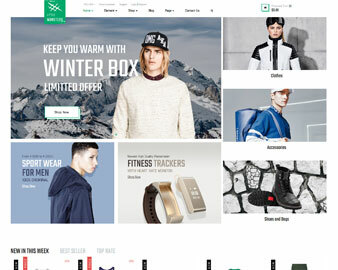 The Prestashop theme is powered with Ap Page Builder one of the best Prestashop modules. 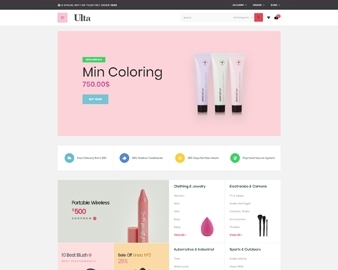 It also supports CSS3, HTML5, RTL language layout and Bootstrap 4 Framework that help to create refined web pages with semantic accuracy. 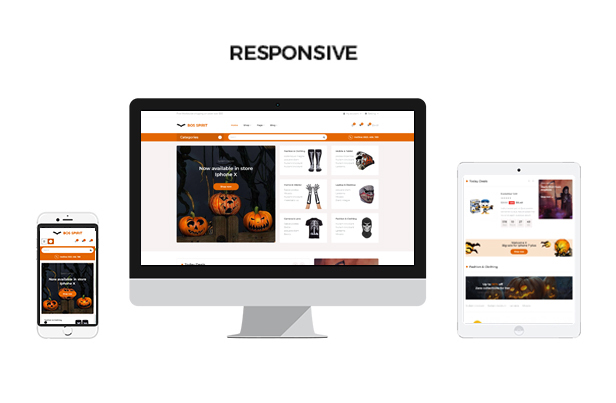 Ap Bosspirit Halloween Themed Gifts comes with lots of built-in functionality which includes powerful admin panel will help you manage your site better, customize easier.